French Interior Minister demanded on Thursday that the new Paris police chief apply the principle of "zero impunity" during the next "Yellow Vests" demonstrations. 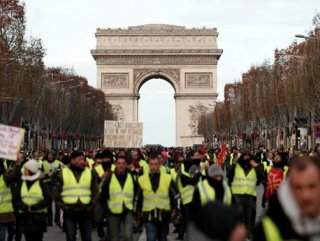 French Prime Minister Edouard Philippe had announced a package of measures aimed at preventing further violence linked to Yellow Vests protests earlier this week. After PM’s statements, Michel Delpuech, 66, who has been in the job since April 2017, had been replaced on Wednesday by Didier Lallement, the top police official in the southwest region of Nouvelle-Aquitaine. 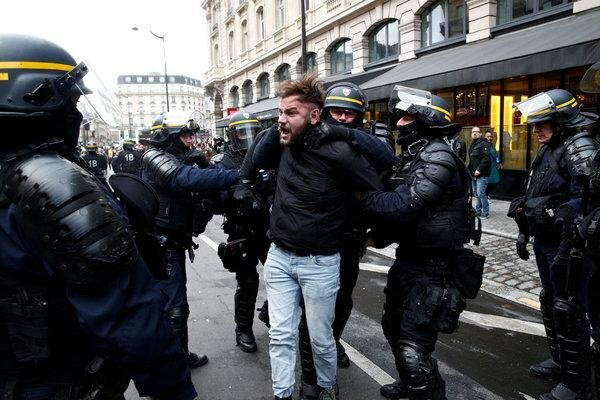 Two days before the 19th wave of the Yellow Vests protests, Interior Minister Christophe Castaner has hardened the tone today promising "zero impunity" to the thugs and calling the new prefect of police in Paris to "not have the trembling hand". "I ask you to ensure that the doctrine of law and order is effectively and resolutely implemented without hesitation or half measure," said Christophe Castaner at the installation ceremony of the new prefect. "Our answer must be firmness even stronger," he added. "I ask you for zero impunity. The place of the 'black blocks' is in prison, not on the Champs-Elysees. " "DON'T LET THEM TO STRENGTHEN"
"As soon as a rally will be held in the perimeters prohibited, you will make sure to disperse it immediately and you will proceed to arrests," he added the minister. "I ask you to act quickly so as not to let any chance to gather to strengthen." He also asked the new prefect to ensure that there is a unity of command and to associate the leaders of the mobile forces with the preparation of the maintenance of order and feedback.